Brand new 2019 Custom Built home on a beautiful 10 Acres parcel in the Paddocks Of Millwood.. This 3 bedroom 2 bath home has all the upgrades throughout the house with beautiful farms surrounding it. This house has all the extra touches, concrete poured walls,Italian tiles throughout, Nice tiled porch and entry way finish this house. 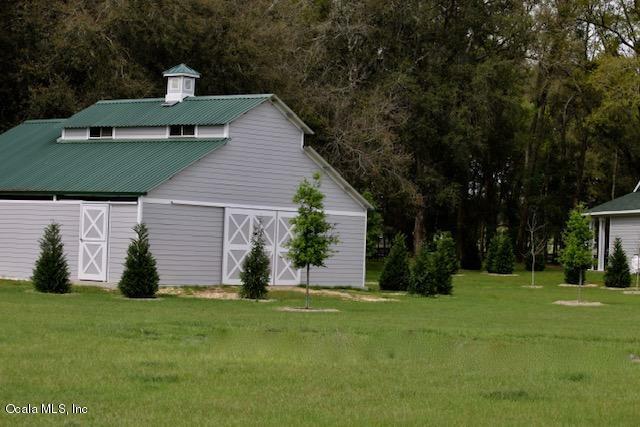 The barn has 4 stalls , finished with Hardiboard and 2 of the 3 paddocks have 2 run- ins with 4 additional stalls. The property has an Oversized Well and large pump that can handle any irrigation that you wish to use New water softener also installed. Brand new Fencing, Perfectly trimmed trees, and the house is landscaped and set back off main road for privacy. Great Equine Community. Call to see this beautiful house. New home warranty will transfer. Listing provided courtesy of Sharon Will of Keller Williams Cornerstone Real Estate.